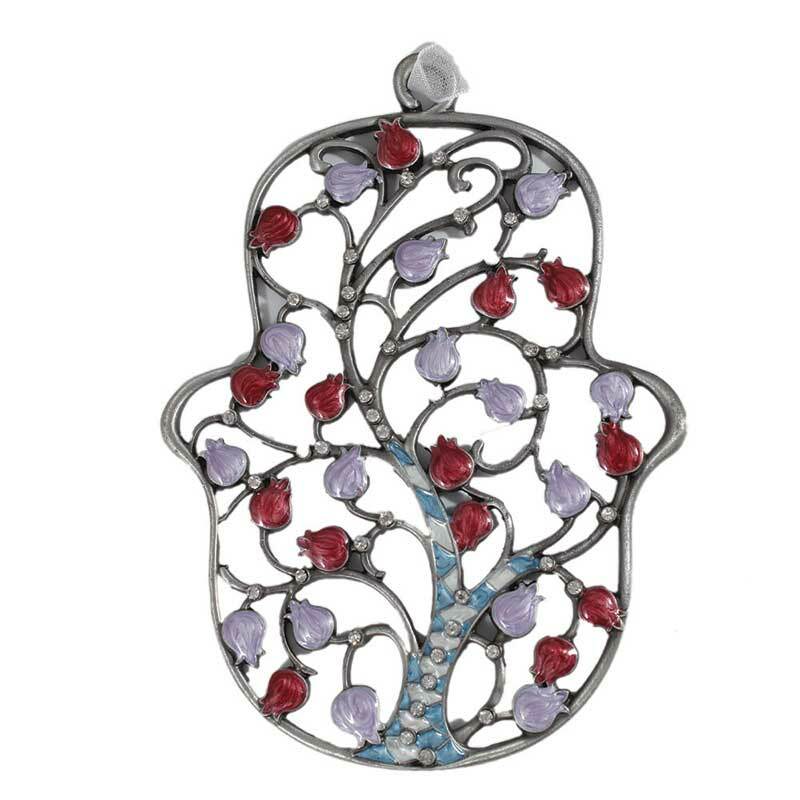 Jeweled Hamsa Home Decor - Pomegranate Tree. A heartwarming design enhanced with rich enamel and sparkling crystals. Comes with a white lace ribbon for the purpose of hanging. Elegantly gift boxed.